With the advancement of mobile sensing and pervasive computing, extensive research is being carried out in various application domains such as Internet of Things (IoT), smart healthcare, connected vehicles, and their security issues. My research work explores the power of pervasive sensing technologies to benefit people’s daily lives and make impacts on the society advancement, especially in two emerging areas: IoT security and smart healthcare. Particularly, my group studies how to conduct user authentication on any solid surface for IoT applications and how to perform vital signs monitoring during sleep towards smart healthcare. The first part of my talk introduces the idea of extending user authentication beyond traditional touch screens to any solid surface for smart access systems (e.g., access to apartments, vehicles or smart homes). The system builds upon a touch sensing technique with vibration signals that can operate on surfaces constructed from a broad range of materials. It integrates passcode, behavioral and physiological characteristics, and surface dependency together to provide enhanced security for many IoT applications. The second part of my talk describes how to track human vital signs of breathing and heart rates during sleep, which serve as critical inputs for assessing the general physical health of a person and providing useful clues for diagnosing possible diseases. Different from previous work, our system re-uses existing WiFi network for tracking vital signs of breathing and heart rates concurrently without dedicated/wearable sensors or additional wireless infrastructure (e.g., USRP). The system exploits the fine-grained channel state information of WiFi signals to capture the minute body movements caused by breathing and heartbeats. The proposed system thus has the potential to be widely deployed in home environments and perform continuous long-term monitoring at a low-cost. Finally, I will share with you some new research directions I would like to pursue with the aim of influencing the future of smart homes and smart cities. 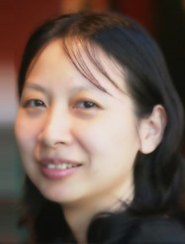 Yingying (Jennifer) Chen is the Associate Director of Wireless Information Network Laboratory (WINLAB) and a Professor of Electrical and Computer Engineering at Rutgers University. She also leads the Data Analysis and Information Security (DAISY) Lab. Her research interests include smart healthcare, cyber security and privacy, Internet of Things, and mobile computing and sensing. She has co-authored three books, published over 150 journals and referred conference papers and obtained 8 patents. Her background is a combination of Computer Science, Computer Engineering and Physics. Prior to joining Rutgers, she was a tenured professor at Stevens Institute of Technology and had extensive industry experiences at Nokia (previously Alcatel-Lucent). She is the recipient of the NSF CAREER Award and Google Faculty Research Award. She also received NJ Inventors Hall of Fame Innovator Award. She is the recipient of multiple Best Paper Awards from IEEE CNS 2018, IEEE SECON 2017, ACM AsiaCCS 2016, IEEE CNS 2014 and ACM MobiCom 2011. She is the recipient of IEEE Region 1 Technological Innovation in Academic Award 2017; she also received the IEEE Outstanding Contribution Award from IEEE New Jersey Coast Section each year 2005 - 2009. Her research has been reported in numerous media outlets including MIT Technology Review, CNN, Fox News Channel, Wall Street Journal, National Public Radio and IEEE Spectrum. She has been serving/served on the editorial boards of IEEE Transactions on Mobile Computing (IEEE TMC), IEEE Transactions on Wireless Communications (IEEE TWireless), IEEE/ACM Transactions on Networking (IEEE/ACM ToN) and ACM Transactions on Privacy and Security.